Settling down in San Francisco is not as easy as 1,2,3! Stéphanie and Maria at Once Upon A Town knows about it! It’s their job. 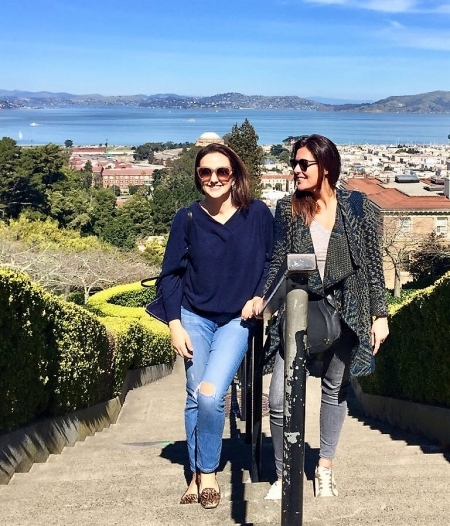 We encourage you to discover Once Upon a Town, that offers a wide range of personalized services to help you make San Francisco your new home. We met recently with Stéphanie and Maria, and we were talking about different anecdotes and situations they had to experience. And we felt like it would be a great idea to share them with you in photos and words. We asked them to tell us… a good laugh, a huge disappointment, a love at the first sight, things they ignored so far and learned, and of course, we asked them to share with us some good addresses discovered throughout their city investigation. Let’s call it the ”Once Upon a Time” interview… not that of a cliché when it comes to Once Upon a Town! 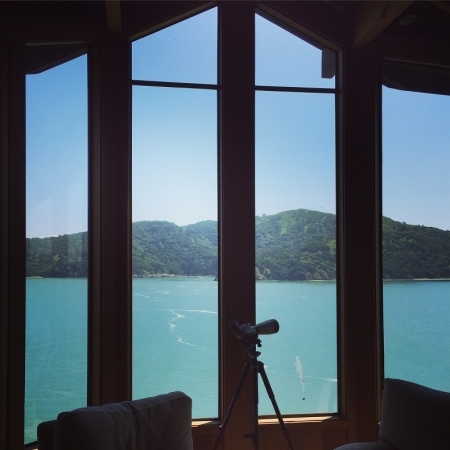 We were looking for a place for 4 persons of the same start up coming to SF for a few months. They had a $4000 budget for a furnished apartment. Quite a challenge in San Francisco… Then we read a great listing, and schedule an appointment to visit it. The landlord asked us a lot of questions and then showed us a tiny mezzanine, max 10 to 12 sqft, no door, no window, and 2 mattresses on the floor, adding that putting 2 additional mattresses would not be an issue. For $750 per person, she was considering closing the deal. 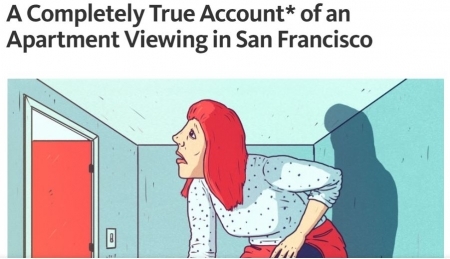 We left and laughed so much feeling like we were part of the story told on the Bold Italic article… A Completely True Account* of an Apartment Viewing in San Francisco. When you are so excited because you just found a precious gem and the landlord changes her mnd to finally sell and not rent. A sumptuous “tree house” in Mill Valley. THE THING YOU HAD NO IDEA OF…AND THAT YOU KNOW NOW. 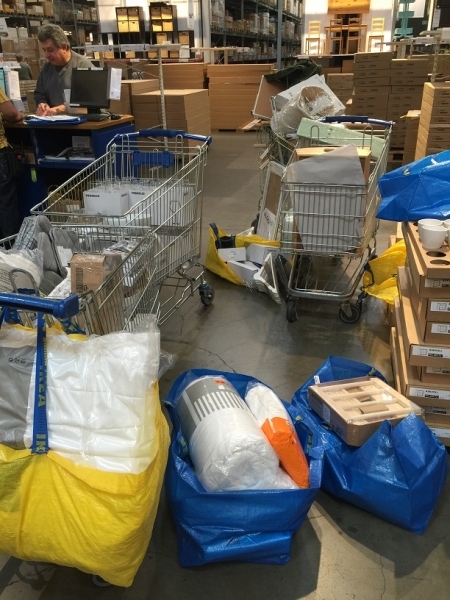 And IKEA delivers …only not breakable items. #sigh when you find out while you filled 2 carts with glasses and plates and utensils for a whole family. Stephanie : Cotogna pour les meilleures pizza et pasta de San Francisco, de plus tous leurs vins sont excellents! 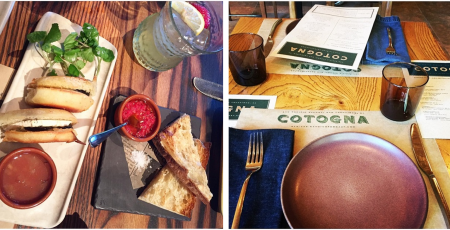 Maria : There are so many good restaurants… but I love Coqueta, for some of the best Spanish tapas in town! Stéphanie: Je fais mes courses principalement au Mollie Stones sur California, leurs soupes sont fantastiques et ils ont a mes yeux les meilleurs crabes de la ville. Pour le pain et les gâteaux rien ne vaut B patisserie quelques blocks plus loin. Stephanie: Je vais chez Books Inc sur Chestnut, leur sélection est top aussi bien pour les grands que pour les petits. Maria: I usually shop at Books Inc. too because they have a great selection and it’s conveniently located for me, but whenever I am at North Beach I love going into City Lights to browse. That place has just so much history and it’s such a San Francisco institution! Stephanie: Ohlala !!! Comment choisir ? Mes adresses préférées sont Joie, Madewell, Scotch and Soda et Simply Chic pour leur sélection géniale et haut de gamme de vêtements et sacs seconde main. 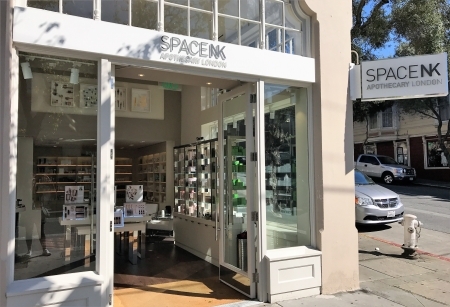 Stephanie: Pour les crèmes visages et corps je suis une adepte de Kiehl’s sur Filmore, pour le maquillage c’est dans le tout nouveau Space NK Apothecary London egalement sur Filmore. Maria: Benefit (another SF brand that I already loved before coming here) and BITE for their fun lipsticks!